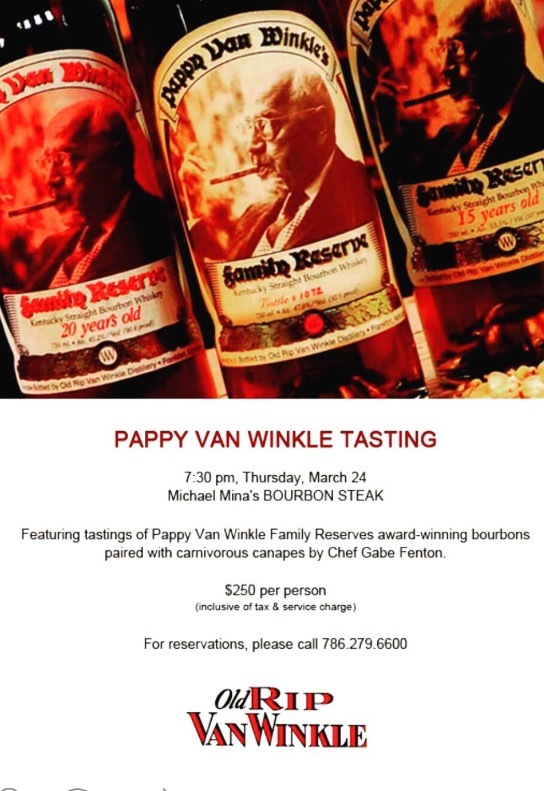 Bourbon fans of Miami here is your chance to taste the hard to find and uber popular Pappy Van Winkle Bourbons. You will get to taste their 10, 12, 15, 20 & 23 year old bourbons. And you get to enjoy canapés from one of the bets chefs in town, Gabe Fenton in a great setting at Bourbon Steak which is my Top Ranked Restaurant in Miami.